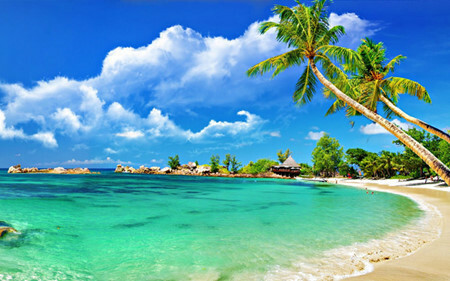 Phu Quoc island is a popular tourist destination in summer. It has the most beautiful beaches in Vietnam. There you can also sample delicious seafood. 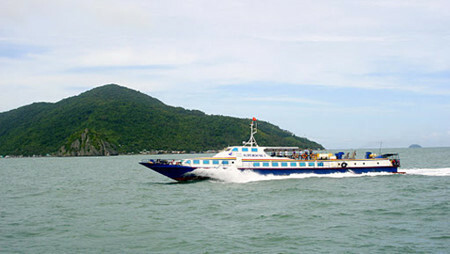 Phu Quoc island in Kien Giang province is Vietnam’s largest island. It is blessed with beautiful scenery and rich natural resources. Visitors to Phu Quoc love its peaceful sea and long sandy beaches which distinguish it from other seaside resorts like Nha Trang and Danang. Bella, a tourist from Switzerland said that shelike Phu Quoc very much because people are very friendly and the island is beautiful. Most hotels and resorts in Phu Quoc are located along Bai Dai, or Long Beach, where the sea is as blue as sapphire and nature is unspoiled. The ABC News selected Bai Dai beach in Phu Quoc as one of the world’s 5 most beautiful and clean beaches. Its “Hidden beaches” list called Bai Dai a heaven of sun, water, and peaceful nature. Bai Sao, or Star Beach on the island’s southeast coast is another beautiful place to enjoy the sun. Still almost unknown to tourists, this little white sand beach with emerald water is ideal for sunbathing. Bai Sao is flanked by rocky promontories jutting into the sea. “From Ho Chi Minh City, we fly here, to Phu Quoc island, just to relax, to enjoy the beach and swimming pool, and the sun. Phu Quoc is very nice and we really enjoy our time here”, says Lilian,a tourist from the Netherlands. Kien Giang province is hosting the 2016 National Tourism Year- Phu Quoc-Mekong River Delta with the theme “Exploring the southern land”. Phu Quoc island is one of its top destinations. “There are more than 20 flights a day to from Hanoi, Ho Chi Minh City, and Can Tho, and we are now establishing routes between Phu Quoc and Singapore, Cambodia, China and Russia. Many international airlines have registered to open new routes to Phu Quoc this year”, Vice Chairman of the Phu Quoc District People’s Committee Huynh Quang Hung said. Pure air, unspoiled nature, and improving infrastructure are making Phu Quoc a major attraction for tourists.